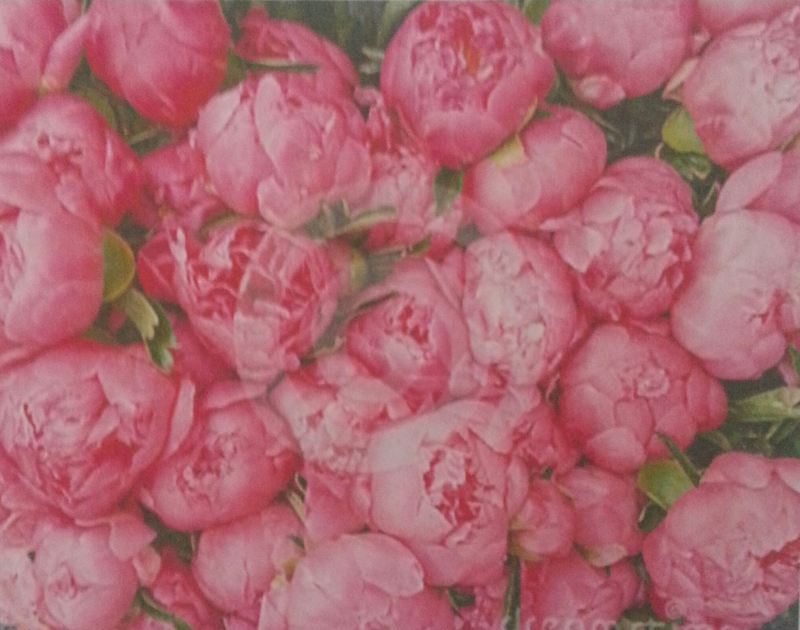 “Peonies in Porcelain” is an original acrylic painting by Donna Cushman of the Constitution State, Connecticut. Donna is a Quadriplegic, and she paints with a brush held in her mouth. This greeting card was reproduced from an original acrylic painting by Donna Cushman for THASC Sales Co., a private company dedicated to the employment of a unique group of handicapped artists who create art to help rehabilitate themselves. They gain self-respect and pride through their artwork. 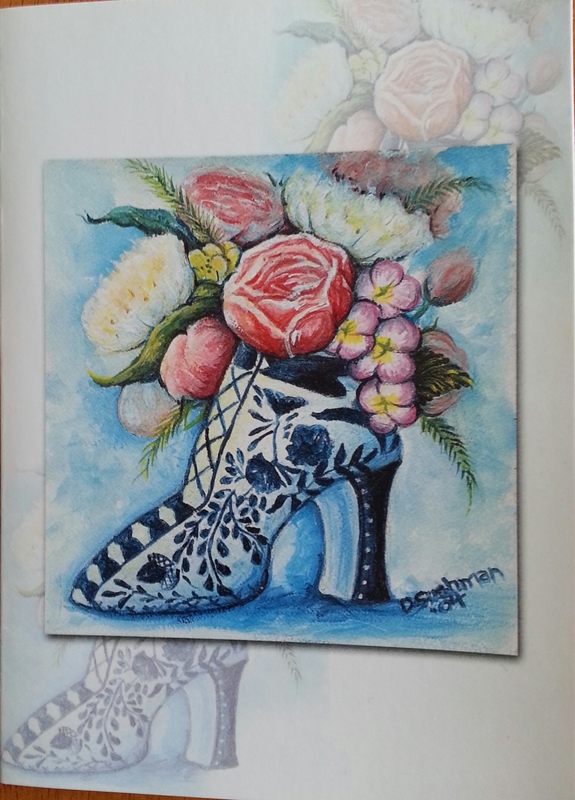 As a child of the 60’s and 70’s, that is a baby-boomer, I was very much attracted to high-heeled boots and shoes that were so “in” at the time and Donna Cushman’s painting immediately caught my eye. Luoyang are said to be the finest in the country. Since peonies are native to Asia and Southern Europe, I enjoyed their beautiful scent when I was living in Beijing and throughout my travels of southern China. In Japan its root was used as a treatment for convulsions while in the Middle Ages their seeds were medically significant. The Chinese also use the fallen petals as an addition to salads or to sweeten water like lemonade. 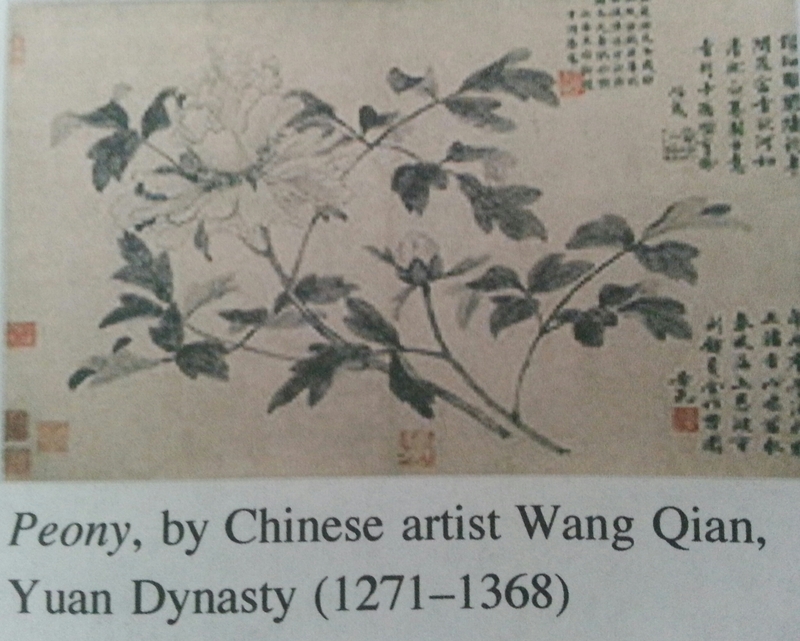 Peonies are commonly used in Japan as tattoos along with lions, tigers, dragons and koi-fish as a masculine design. 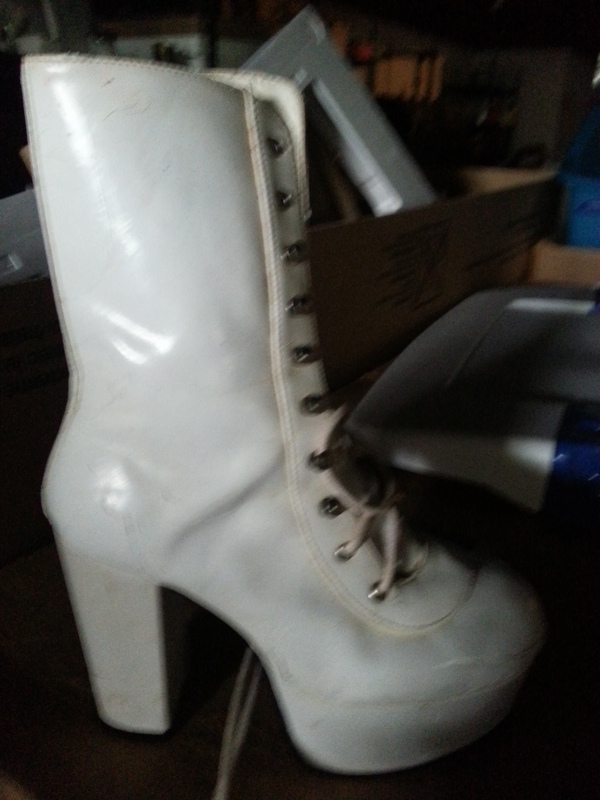 To me I can only imagine them as feminine as can be with their soft petals and of course, those high-heeled shoes! Join me next Tuesday as we get closer to our national holiday, July 4, and continue to celebrate our THASC artists. Those flowers are beatiful,and those paintings are just so wonderful. 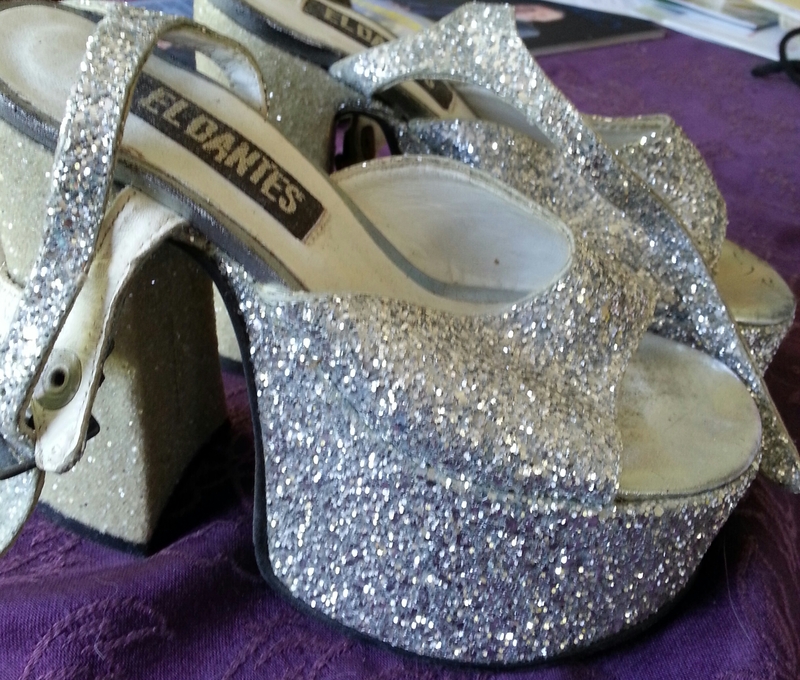 I was also a 60s baby boomer,but l was not into high heels,but now l am a little as l got older. I did not know the chinese,used petals,in salads,or to sweeten water,l always learn something knew from reading your blog. I love flowers! I can’t wait for the next blog,on fourth of july. Thanks, Dana, your responses are always so thoughtful. Thank you!!! Dear Rosaleen, Thankbyou so muchv for your compliments and comments. Let I me know vcould how the salad tastes. My mom used to eat certain fresh flowers at a famous restaurant in Miami Beach! 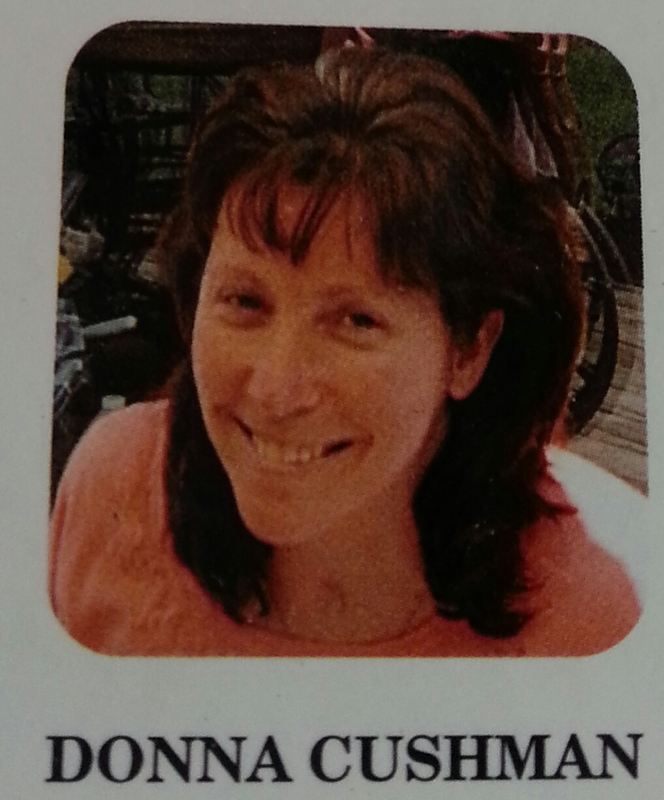 Do you have contact information for Donna Cushman? I am her cousin of sorts and am searching for her. I personally do not but may be able to put you in contact with someone who might. Can you send an email!